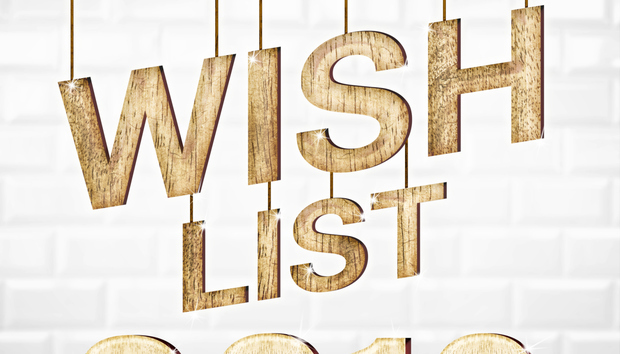 Besides peace on earth and an unlimited IT budget, what's on CIOs' wish list for 2016? We asked three experts what they'd love to receive for the new year. "Greater systems flexibility. Meaning systems that are more highly configurable and thus require less coding and/or testing; are loosely coupled, so a change to one minimized changes in others; a highly connected environment where the plethora of solutions is invisible to users; and one that empowers users to make the changes they want." --Steven Marenakos, senior vice president, service and systems solutions, Prudential Annuities. "Right now, we need dynamic people who can wear many hats that aren't role-specific. We're attempting to reduce silos so that people are cross-functional. Finding a server administrator, or a Microsoft Exchange expert is much easier than finding someone with multiple skillsets -- but I know they're out there!" -- Warren Perlman, CIO, Ceridian. "WebMethods, Tableau and Cognos [SaaS and software packages] for advanced integration and data analytics." -- Glenn Siegmund, CIO, Prudential Annuities. "We're already starting to improve these using SQL Server and enhanced caching using SSDs. We're also looking at nontraditional solutions like Hadoop and ways to pull data sets to make them more accessible." -- Perlman.